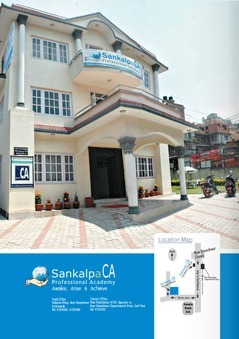 Established in the year 2008, Sankalpa Professional Academy is an educational institution focused on producing qualified Chartered Accountants. 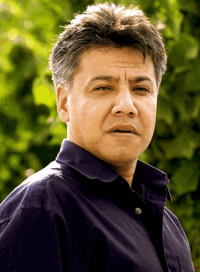 Established with the vision of producing young and dynamic Chartered Accountants who can deliver highest standards of professionalism and contribute towards the development of the nation, the academy aims to be a part of the nation building process by imparting quality education by adopting innovative teaching methods. The academy is promoted by dynamic, dedicated and energetic Chartered Accountants with many years of experience under their sleeves. Sankalpa Professional Academy aspires to reengineer teaching methodology which is totally different from the existing traditional methods of creating chartered accountants. It aims at producing professional chartered accountants with leadership ability, excellent communication skill, pleasant personality and academic excellence. The academy with the help of its experienced faculty and staff members strives to create an environment for the students where they are well prepared and groomed to face the challenges of the real world. The institute gives personal attention to each student by closely monitoring the students who do not have academic management background or who are weaker than the others. To make sure that the students do not miss their classes, it also supervises the attendance of the students closely and also stays in touch with the parents to learn and inform them about the students’ progress. Along with the classes taken by highly qualified and experienced faculty members, the institute also offers well stocked library for the students where they could find all the reference as well as academic materials required to understand and assist their courses. It also conducts mock tests frequently in order to make the students more comfortable with the test pattern so that they would be confident and prepared for the final examination. Sankalpa Professional Academy attempts to provide quality education to the students by adopting student oriented teaching approaches that requires scientific and creative teaching methods. Committed to provide the best to the students who are serious about learning, it makes an effort of training the students with required knowledge and practical skills so that they can come out with highest standards of performance. It comes as a common platform to help the students develop an environment of learning to become a responsible professional. Sankalpa envisions being able to bridge the gap between the sharp rise in the economic activities and the acute shortage of the professionals by producing skilled and highly qualified professionals. It has separate department to manage Chartered Accountancy education which looks after the CA classes, producing study materials for students and take care of the students. The training department of the institute provide trainings on various subjects such as banking, accounting, TAX/VAT, NGO/INGO, etc.